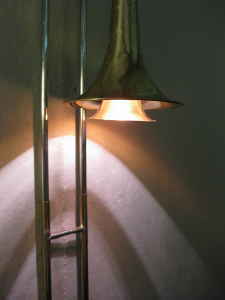 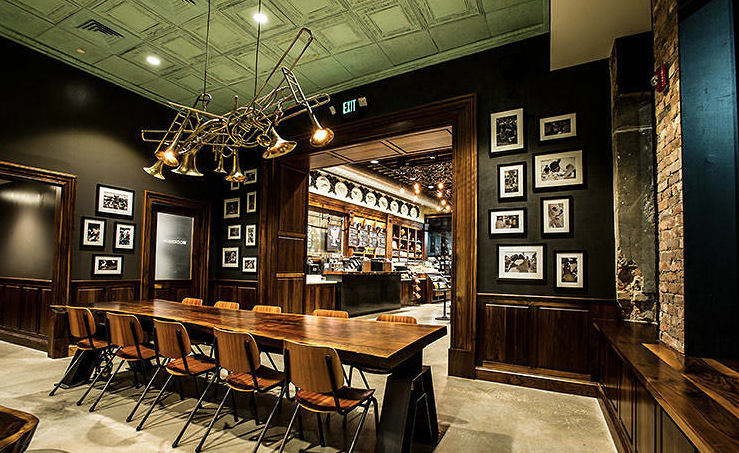 A precedent image of instrument lighting. 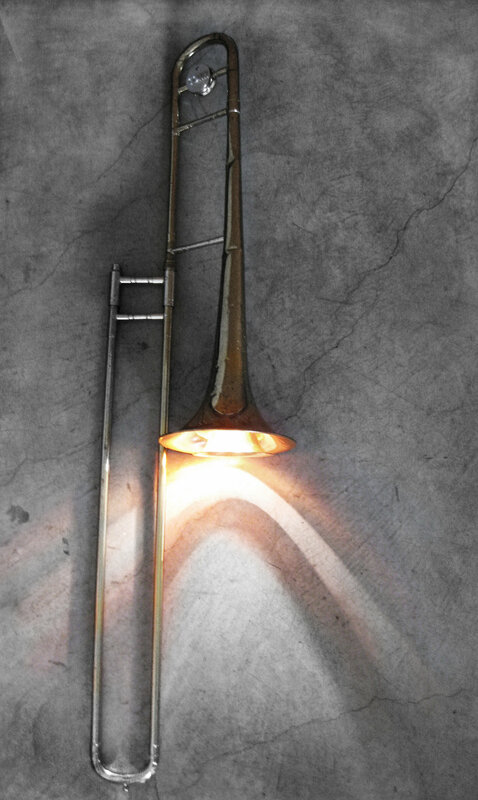 During my time in the graduate architecture program at University of Oregon, we were tasked to design a luminaire. 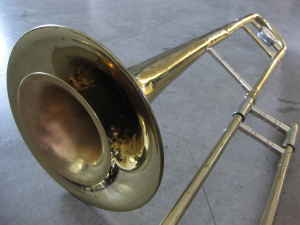 Our team was interested in the shape of the bell of a trombone. 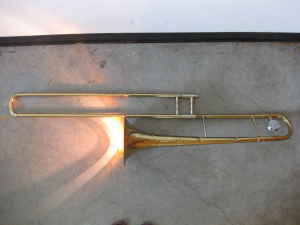 We inserted a smaller bell from a toy instrument and a lamp, then wired it through the tubes of the trombone and out through the spit valve.